“They call me Mystic Mac because I predict these things” is one of Conor McGregor’s more famous quotes. It’s true, the Irishman has been known to let the press and the public know what round each one of his fights is set to finish in. We are not sure that he’s a clairvoyant, but McGregor is right far more often than he is wrong. This is a useful bit of information, not least because it will help any of you guys who are planning on having a bet on the fight that little piece of extra edge. With a number of speculative bets on McGregor, the odds of this fight have been fairly skewed. 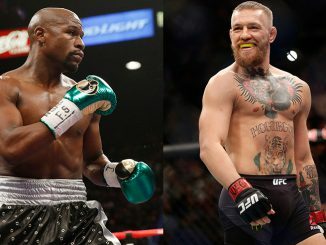 It’s thought the Notorious will be about $5.00 to get the job done – which seems crazy if you consider that he has never had a professional bout and is facing off against a man who is 49-0. Thus, your best option might be to back what round this fight is going to end in by using Conor McGregor’s own prediction. According to The Irish Sun newspaper, a source close to the Dublin fighter said that McGregor told them he is going to finish it early. 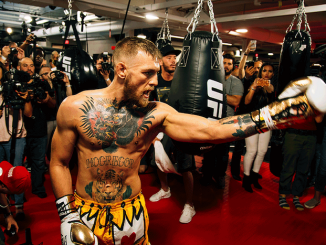 “Conor is convinced he is about to shock the world once again and is adamant he’ll do it early. If this actually happens, it will shock the world of fighting and will leave fans everywhere amazed. You can back this at a price of $25 approximately. Mayweather has never been knocked out in his storied career, so this bet would take quite a jump of faith. 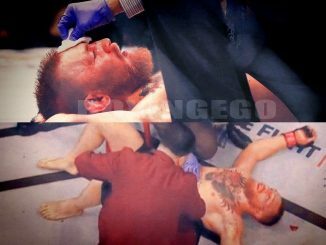 However, McGregor has shocked fans before – think back to when he predicted that he would finish Jose Aldo. Most people thought he was crazy and gave him little chance of finishing the Brazilian legend. Then, on the night, it took him just 13 seconds to put an end to Aldo’s reign as champion. Our point is, this is a man who loves upsetting the odds and making history. We’re not saying he is going to do it again – but we certainly don’t think it’s beyond the bounds of realism.